The popular Airbnb and VRBO/HomeAway travel websites serve many Oahu condo and single family home owners as a platform for advertising their units for rent to vacationers for less than 30 days. It has always been illegal to rent your home or condo for less than a 30 day time period on Oahu, unless you hold one of the very few and rare NCU’s ( Non-Conforming Use Certificate), a legal permit to rent for less than 30 days as a TVU (Transient Vacation Unit). These were handed out for a short time in the late 1980’s, never to be granted again after 1989. There are also a handful of resort-zoned, fee simple owned condos, such as Ko Olina Beach Villas, or Turtle Bay Ocean Villas, that can be legally rented for less than 30 days due to their hotel/resort zoning status. 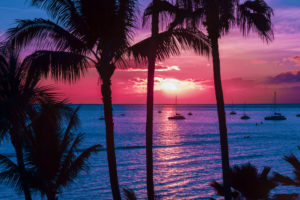 Despite these restrictions, the strong demand of travelers coming to Hawaii over the years, who are in fact looking more and more to travel in this popular Airbnb style, in combination with the high cost of living in Hawaii, has led to many home owners successfully skirting the restriction for years, mostly noted in the neighborhoods of Kailua and on the North Shore. It has long been a contentious issue, as it can be hard to be a neighbor of a poorly managed vacation rental, and some also hold the belief that these rentals take away from the local long-term rental market. There has also always been a lot of speculation in regards to the TVU’s paying their GET and TAT taxes. To address the tax issue, the State passed a new law which was effective as of January 1, 2016, requiring TVU’s to list their Hawaii State Tax ID on any and all advertising websites they use. The large portion of vacation rental operators who do pay their taxes, giving the state large amounts in tax revenue, are now worried about the privacy concerns surrounding putting their tax Id up for display, and are also left to wonder if this eventually will lead to them being shut down, despite paying their taxes. Short-term rental owners also feel responsible for bringing major tourist dollars into the state and into their local communities, while also bringing many jobs to their neighborhoods for cleaners, landscapers, maintenance workers and more. At the same time, after hearing complaints against vacation rentals for years, the City and County appropriated more funds in 2016 to the Department of Planning and Permitting (DPP), allowing the department in charge of enforcement of vacation rentals to hire and train more staff to investigate and shut down illegal rentals across Oahu. In the first few months of the new year, Kailua saw well over 50 vacation rentals shut down, with likely many more to follow both in Kailua and on the North Shore. It remains to be seen how far this will go, or if there will ever be a permitting process back in place for TVU’s, but for now, it is becoming very difficult to continue advertising and running short-term vacation rentals. The real estate market has already begun to see short term owners stepping away from the business and moving into the longer term rental market, or even selling the properties that are no longer going to bring them a positive cash flow. Please contact your Caron B Realty agent if you have questions about your short term rental, or are in need of making a change to your real estate portfolio due to the new legislation.